Stamp with Kathya: It's a Banners Sunday Stamps! It's a Banners Sunday Stamps! Happy Sunday Stampers! Hope your weekend is going well! Can't believe it's the last Sunday of November, heading into the Holiday Season! I am not ready at all. But the season is here even if we are not ready at all. 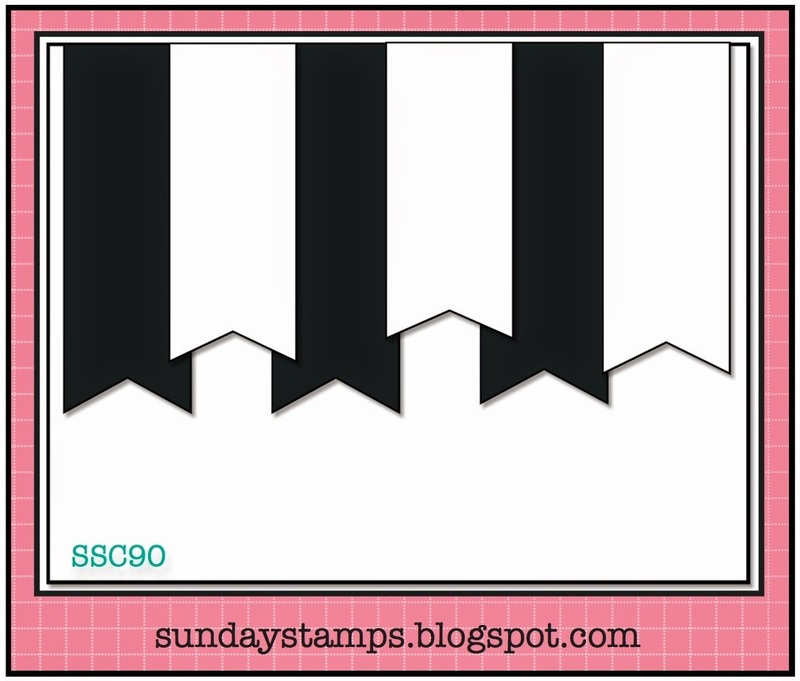 We have a fun new sketch for you at Sunday Stamps and it's all about the banners! Lots of cool inspiration from my fellow Sunday Stamps Designers. We hope you will join us and create with us. The link will be open until Friday, December 12th, 2014. Very simple and straight forward card. Trying to get back into the swing of stamping and playing catch up. Seems like finding balance with everything in my life lately is a constant thing. Anyhow, thanks for stopping by. Until next time.